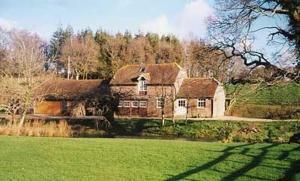 Mill Pond Cottage is a holiday home with a garden, located in Bere Regis. The cottage is 1.9 km from Monkey World. The unit fitted with a kitchen with an oven and toaster. There is a private bathroom with a bath or shower. See all Mill Pond Cottage reviews..